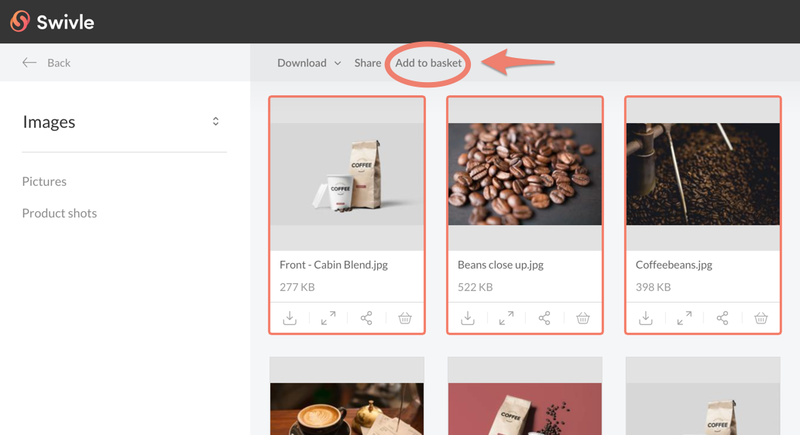 Instead of working on multiple files in their original location, all files can be added to the Basket, so you can easily work on them. 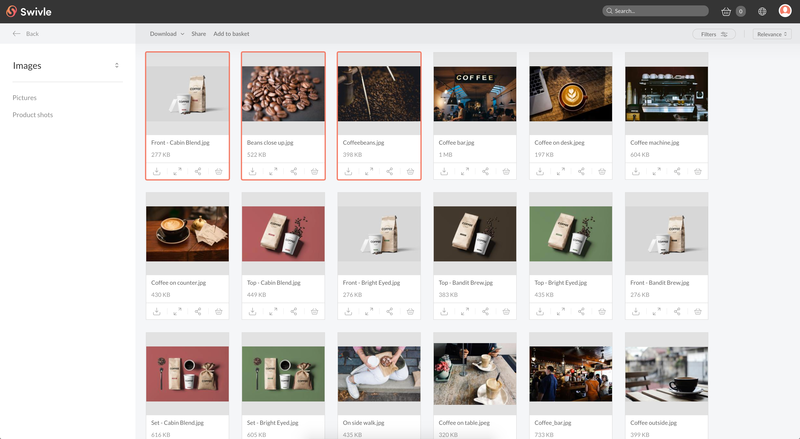 When working on multiple files in the Brand portal — such as downloading or sharing them — the first task is to find the files you want to work on. Typically these files are stored in multiple locations. 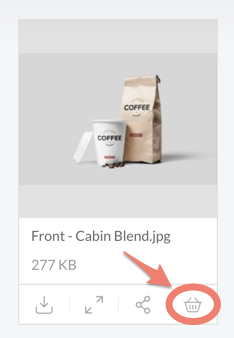 Figure: The Add to Basket icon in the thumbnail of a file. Figure: The Add to Basket button in the toolbar. Tip: You can quickly work on all files by using the buttons in the top right corner of the screen. To remove an individual file from the Basket, click the orange Basket icon in the thumbnail of that file.